They also publish a Mirror newsletter from time to time. Contact Camilla Bullock. 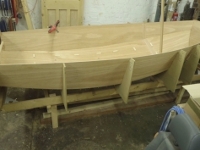 Active Junior and Parent / Child Fleet. Warsash has produced a number of top Mirror sailors over the years, including National Champions, and uses the Mirror as the double-handed junior class and as an alternative to the Optimist. 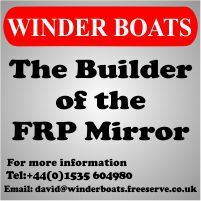 The Mirror is part of the very successful 'Kipper' junior training scheme and is having a real resurgence at the moment, with 2 boats in the RYA Mirror South Zone Squad and lots of new boats joining the fleet. Warsash is located at the mouth of the River Hamble and has 2 sites: changing rooms and training centre by the dinghy park and a large clubhouse with restaurant, bar, club rooms, garden and further dinghy and keelboat parking over-looking the entrance of the river. The club has established close links with local Mirror fleets at Itchenor SC and Hillhead SC and is hosting Open Training over the winter.